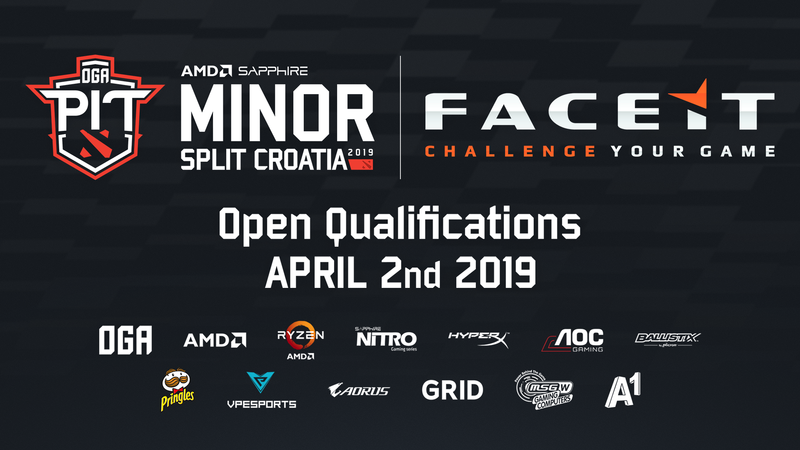 The Qualifiers for AMD SAPPHIRE DOTA PIT Minor 2019 are coming up soon, starting with the Open Qualifiers on April 2nd hosted by FACEIT. European, North American and Chinese Open Qualifiers will yield three teams that will proceed to the Closed Qualifiers, while South America, CIS and Southeast Asia will yield two teams. The Closed Qualifiers (April 3rd- April 6th) will feature eight teams per region in single elimination, best-of-three format. The teams that qualify through the Open Qualifiers will be joined by teams that failed to qualify for the MDL Disneyland Paris Major. The winners of each regional Closed Qualifier will advance to the AMD SAPPHIRE DOTA PIT Minor 2019 LAN. In the case of China and Europe, second-placed teams will also qualify. The casting duties will be taken care of by Trent, Zyori, GranDGranT, Moxxi, Lacoste and lizZard.